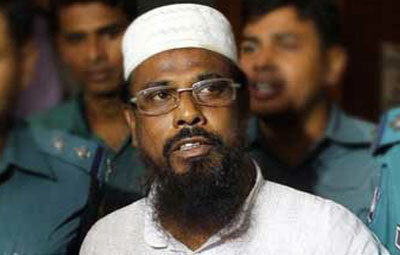 Staff Correspondent: The trial of Harkatul Jihad (HuJi) top leader Mufti Abdul Hannan and 12 others have been started over 2001 grenade-attack on a rally of the Communist Party of Bangladesh (CPB). The court of Dhaka`s Third Additional Metropolitan Sessions Judge Imrul Kayes started the trial on Sunday. Mufti Abdul Hannan and 12 others have been indicted for the grenade-attack. A grenade attack on a CPB rally at Dhaka`s Paltan Maidan had killed four people on the spot, while another died in hospital, on January 20, 2001. Among the accused, Mufti Hannan, Mainuddin Sheikh, Arif Hasan Suman, Maulana Sabbir, Shawkat Osman and Mashiur Rahman are in jail while absconding are Abdul Hai, Shafiqur Rahman, Nur Islam, Jahangir Alam, Mohibullah Muttakin, Anisul Islam Morsalin and Rafiqul Islam Miraj.